There are only a few sharks that are really dangerous to people. 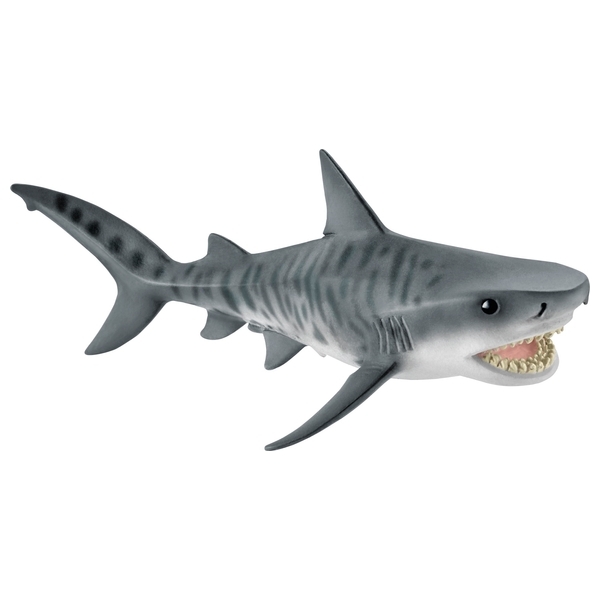 These include the tiger shark, the dreaded white shark, and the somewhat lesser known bull shark. The tiger shark gets its name from its long, dark stripes, which are reminiscent of a tiger. It prefers to eat turtles, cracking their shells with its sharp teeth. Its diet also includes rays, sea snakes, seals and birds, but it will basically devour everything that isn't nailed down. Car tyres, parts of ships and boats, nails, jewellery, clothing, and books have even been found in the stomachs of tiger sharks. They even eat when they are not hungry, and humans consider them to be one of the most dangerous of the around 500 (mostly harmless) shark species. Tiger sharks are very big, conspicuously striped sharks that can grow up to 5.5 metres long.